This site explores the past, present and future of downtown Riverside — one of the few truly historic downtowns in Southern California. The name ‘Raincross Square’ comes from a downtown civic plaza with the same name. It is also a derivative of ‘Mile Square,’ the original 1870s street grid for the city of Riverside. Within the ‘Mile Square’ district of downtown are numerous historic homes, bungalows and buildings, several museums, a 4-block pedestrian mall as well as the magnificent Riverside County Courthouse and the eclectic Mission Inn. 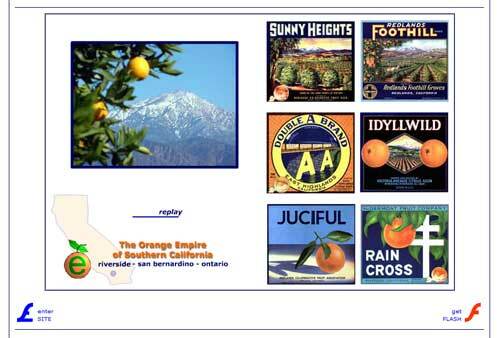 Many stand as testament to the riches attained from Southern California’s once mighty navel orange industry, which originated in Riverside near the turn of the 20th century. Straddling downtown is a large community college, the charming Colony Heights and Wood Streets neighborhoods, picturesque Mt. Rubidoux and the Olmsted-designed Fairmount Park. Outside downtown are 3 universities (including UC Riverside), the toney Victoria and Canyon Crest neighborhoods, palm-lined Victoria Avenue and California State Citrus Historic Park. We hope you enjoy this peek into downtown Riverside, a nice surprise within the suburban sprawl that is Greater Los Angeles. 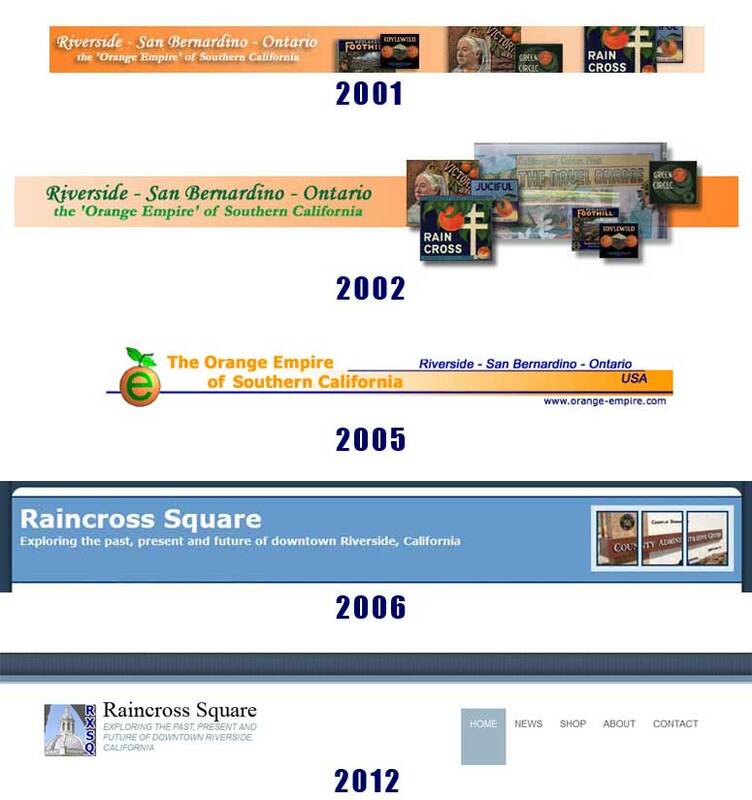 What began in late 2000 as www.orange-empire.com — a site primarily intended as a photographic journey around Inland Southern California — eventually morphed into www.raincrosssquare.com, an informal website created in mid-2006 with an emphasis on downtown Riverside and local history for the city of Riverside. 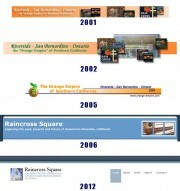 In 2008, orange-empire.com was merged into raincrosssquare.com. The merged website remained focused on downtown Riverside but was expanded to include more of Riverside in general as well as occasional tidbits from around the region. 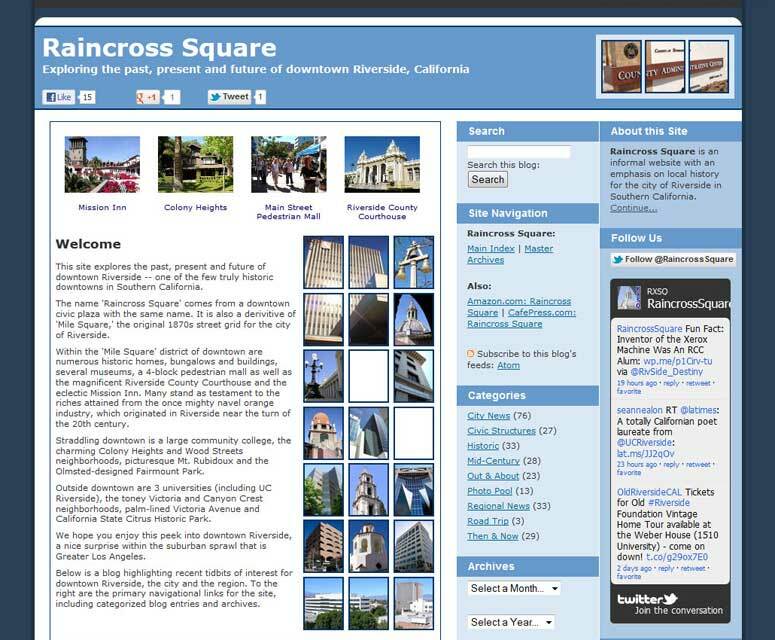 In May 2012, raincrosssquare.com was re-launched using the Word Press content management system. With the new CMS came a new design and additional features (thanks in large part to Gradient Pixels), including expanded sharing options and better photo gallery treatment and management. Your primary host, Glenn Edward Freeman, is a native of Riverside with a keen interest in urban planning, architecture and local history — the seeds of which were planted at an early age as a kid trudging up Mt. Rubidoux overlooking downtown and the city below. Subsequent visits to the downtown pedestrian mall and the historic Mission Inn as well as venturing into the city’s abundant orange groves, would later feed the seeds. Glenn is a graduate of Riverside’s La Sierra High School and attended Riverside Community College and UC Riverside, receiving Associate of Arts and Bachelor of Arts degrees respectively. Over the years, he has taken several courses in the Land Use and Environmental Planning certificate program at UC Riverside Extension. For 11 years (until late 2011), Glenn worked in the main Riverside newsroom of The Press-Enterprise newspaper, primarily as associate website editor and producer. 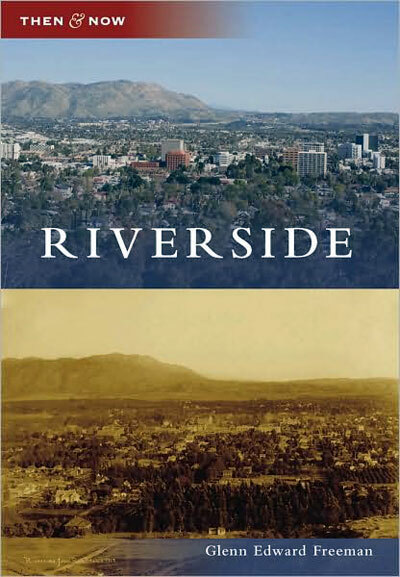 In 2009, Glenn published a local history photo book: Riverside – Then & Now (Arcadia Publishing). 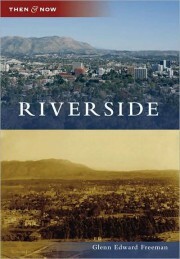 He continues researching, posting and photographing tidbits about Riverside (as well as contemplating follow up books). In February 2012, Glenn was invited to join the Board of Directors for Old Riverside Foundation and in December 2012, he was elected to the Board of Directors for the Riverside Historical Society. In early 2015, Glenn relocated to Seattle, Washington. Although this caused the site to go mostly dormant, his eye (and heart) remains in touch with Riverside and its history from afar. 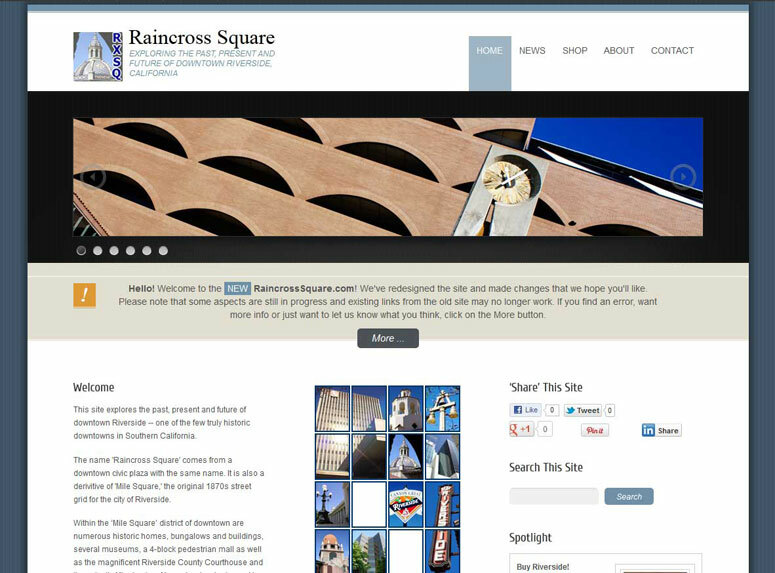 We hope you enjoy RaincrossSquare.com and also hope it inspires your own memories (be sure to leave comments!). And we’re always looking for old photos. So please, if you have any you wish to share — or simply have suggestions, ideas or even corrections and/or critiques (we don’t claim to always be the experts!) — please feel free to CONTACT us. Finally, this site is truly indebted to other local historians, both past and present, known and unknown. In particular, Steve Lech and the late Joan Hall, Esther Klotz, and Tom Patterson have provided a wealth of local historical accounts and anecdotes. Be sure to check out the following links (one | two | three) for theirs and other related books. 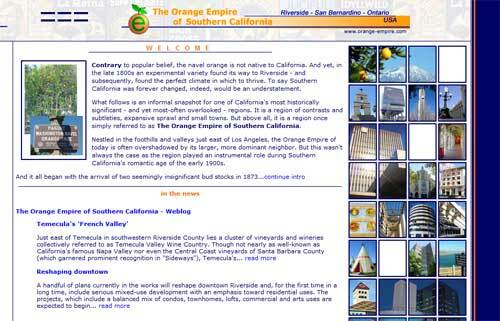 Likewise, various other websites are also dedicated to informing and capturing local Riverside history. Note: All viewpoints expressed on this site, including comments, are the opinions of the respective authors only and do not reflect the views of other authors, employers, or third-party off-site links. 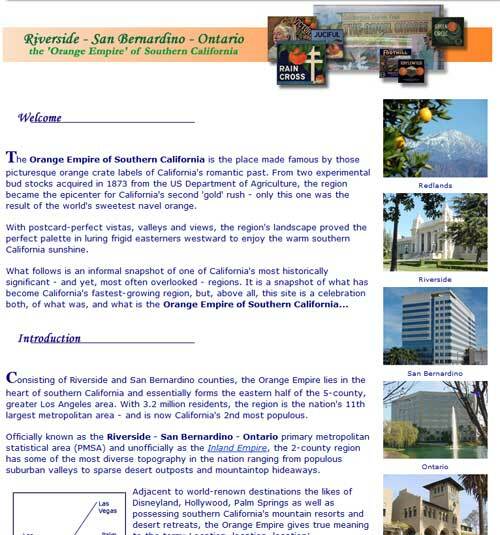 This site is not affiliated with the City of Riverside or its convention center.